Alpha Gamma Rho is the premier fraternity at Kansas State University. We are not simply an outlet for social activity, rather we are constantly striving to build better men. We constantly strive to increase the success level of members of the Alpha Gamma Rho Fraternity. As a social/professional fraternity, Alpha Gamma Rho prides itself on its ability to prepare young men to become the best in their profession. By developing outstanding moral values, social skills, and work ethics which are desired by all employers, AGR builds men which will be the most successful in their career. Our scholarship program is cutting edge. Alpha Gamma Rho has a house GPA of 3.0 and an entire committee dedicated to helping members achieve this goal. AGR has mandatory study hours for those with GPA’s below a 2.8, provides a quiet atmosphere for studying during the week, and allows member access to all of the benefits of our personal library and computer room. After having completed a $1.625 million renovation of the chapter house, Alpha Gamma Rho is perhaps one of the nicest and most well equipped fraternities at Kansas State University. If you are looking for men who will become the leaders of America and strive for success, you need look no further than Alpha Gamma Rho. A successful journey requires a roadmap, providing a clear sense of direction for the travelers. Likewise, the Alpha Gamma Rho Promise and Values provide our fraternity with a clear sense of direction as we go about making better men. Alpha Gamma Rho and Alpha Zeta abide by a national covenant. The covenant is as follows. Know and understand the ideals expressed in my fraternity Ritual and will strive to incorporate them in my daily life. Participate regularly in all Chapter activities and programs until I graduate. Develop an understanding of Alpha Gamma Rho history and Chapter operations. Strive for academic achievement and practice academic integrity. Respect the dignity of all persons; therefore I will not physically, mentally, psychologically or sexually abuse or haze any human being. Live in the Chapter house unless a special expemption is granted by the Chaper. Meet my financial obligations in a timely manner. Neither use nor support the use of illegal drugs; I will neither misuse nor support the misuse of alcohol. Acknowledge that a clean and attractive environment is essential to both physical and mental health; therefore I will do all in my power to see that the Chapter property is properly cleaned and maintained. Abide by the Articles of Incorporation, Constitution, Bylaws, rules and obligations to the Fraternity. Challenge all my fraternity members to abide by these fraternal expectations and will confront those who violate them. Help provide meaningful programs and activities to help you learn about the history and Chapter operations of the Fraternity. Provide you with a “Big Brother” who will assist you and help you get to know all members. Act as your Brothers and true friends. 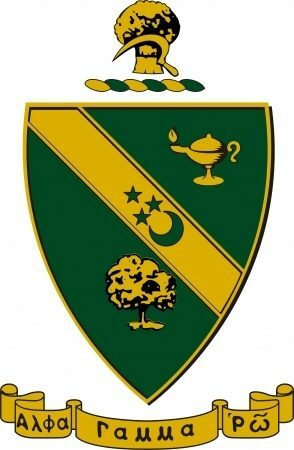 Give you the benefit of our support and experience so that you may obtain a high level of scholarship, maturity, and awareness of Fraternity ideals which, when united with genuine compassion and concern for your fellow man, will help make you a well-rounded individual and true Brother in Alpha Gamma Rho Fraternity.